Its about damn time I found this. I have been looking for this for about a week now. Thanks David! This is awesome. The widget looks so much cleaner and more professional on my site now. Great tip! The widget looks so much cleaner and more professional on my site now. This did not work for me. I followed what you said exactly and it bombed. First it wouldn’t accept the double part of the code, saying it wasn’t well formed. I tried following a similar tutorial and it still doesn’t work. I’m using a customized Blogger template, and it won’t do anything with page breaks 🙁 I thought this would be easy to correct, what a drag. HI. 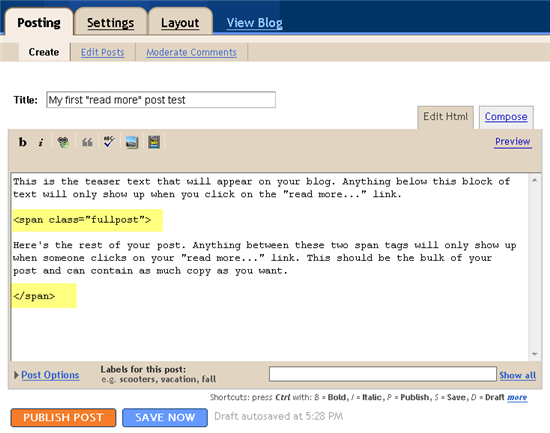 I’m trying to add this hack to my blog but it does not work. The whole post dissapears – even the title and the other stuff. Like it wouldn’t be posted. So how to edit MY code to make posts expandable? I’m sorry I’m trying to put it the right way. not code nor quote work. 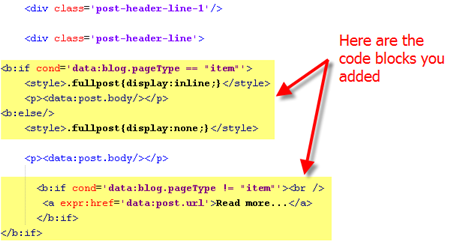 I don’t know how to post here with html examples vissible. Web Design Company is professional website design company in Hong Kong, web design service provider in hong kong. Great tip. I also like the way you integrate your ads nice site. Your generosity has helped others. May more blessings come your way!